Since going Gluten Free about 4 years ago due to my oldest having a wheat allergy, gluten sensitivity, peanut, all nut and several other random allergies I have searched for the perfect replacement to a traditional breakfast. For the previous 9 years, on the first day of LDS General Conference I would make a very yummy breakfast, something we call sticky buns (kinda the same things a monkey bread but a bit different). I like to mark special days with something fun, and LDS General Conference is a very special day. We look forward to it twice a year and the anticipation is as intense as Christmas. 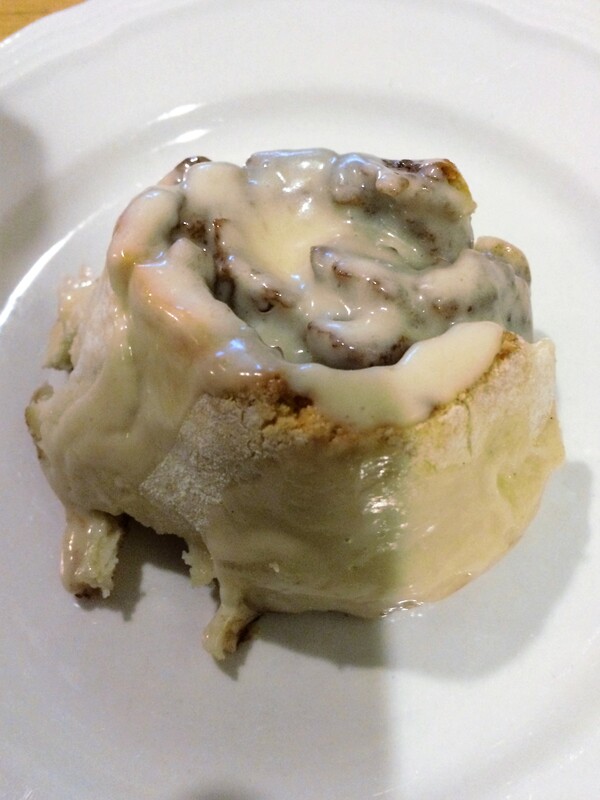 Well once we could not have Sticky Buns any more this made all of us extremely sad. That first General Conference I attempted to make a Gluten Free version, I bought some bread dough from a local GF bakery – it didn’t turn out. The next few times I do not remember what I made I just knew I didn’t want to make it again. They just didn’t hit the spot. One year my husband even asked if I can just make us sticky buns and something else for Abbey. I think that is a bit rude, so I said no. Then back in April I tried cinnamon rolls, they were ok. I kept searching and searching for a better recipe. I found one on Lauren’s Latest. And wow, it hit the spot!!!!!!!!!! We will make this again and again. Crazy easy! And I used my trusty Grandpa’s Kitchen Flour. Like with all GF recipes, especially breaded items I like to find something simple, I don’t like to use separate flours and blend my own. I just want one flour to do it all, just like before. I will concede that to make actual real white bread I’m going to have to break that need of mine to have only 1 flour. Just like Lauren says, it only took about 30 minutes to prep and 20 minutes to cook. They were soft and just right. The frosting was a perfect blend of cream cheese frosting. I think that is what really made the difference. Add more butter to the filling. It was a bit stiff and didn’t spread to well. Just add enough to your desired consistency. I added about 1T spoon more, I think more would have even been fine. It is a hard texture to find. Other cinnamon rolls I have tried were so runny, the flavor was off and my kitchen was a mess. She noted that Pamela’s flour is the only one that will work, but I used Grandpa’s Kitchen and it worked really well. Thank you Lauren for coming up with a perfect recipe. I’ll give it 5 stars. 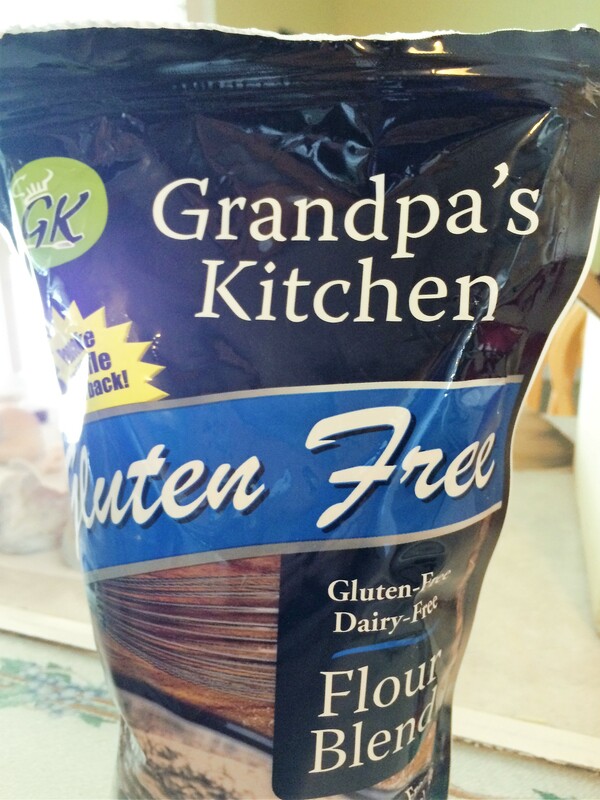 This entry was posted in Gluten Free Recipes and tagged Cinnamon Rolls, Cream cheese frosting, food allergies, Gluten Free Cinnamon Rolls, Gluten Free Recipes, gluten sensitivity, Grandpa's Kitchen Flour, Peanut allergy, Wheat allergy. Bookmark the permalink.